Designer Ron Arad on show at the Timothy Taylor gallery, London, this week. The exhibition, filled with voluptuous aluminium and mirror sculptures, features an installation called Oh, the Farmer and the Cowman Should be Friends (shown here) as its centrepiece. 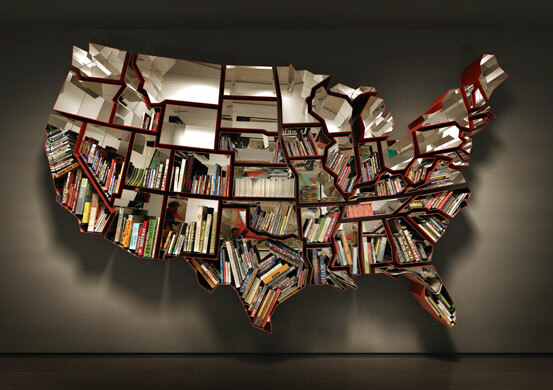 This entry was posted on April 9, 2010 at 6:21 pm and is filed under books, design, maps, sculpture. You can follow any responses to this entry through the RSS 2.0 feed. You can leave a response, or trackback from your own site.